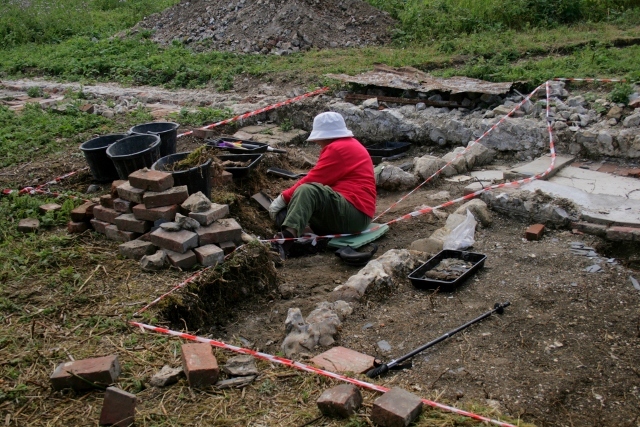 Sunday’s dig benefited from both the cooler temperatures and the rain from the day before – which softened the ground nicely. Path between front gate, front door, and the outside toilet. Excellent progress was made excavating down through the demolition rubble over the path from the toilet towards the front garden gate in one direction, and the front door of the house in the other. 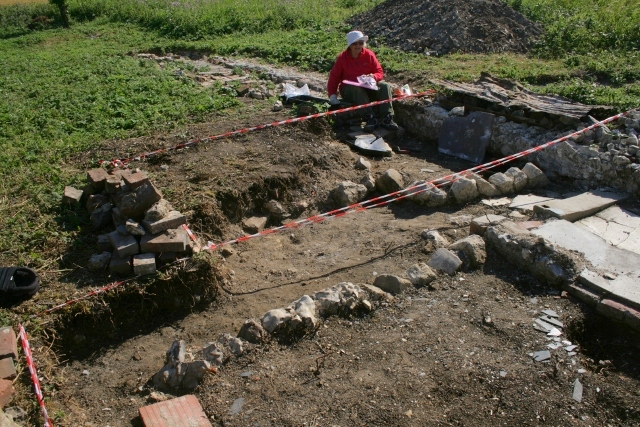 More substantial edging blocks of stone were uncovered, as well as a wide area of a compacted earthen path surface. 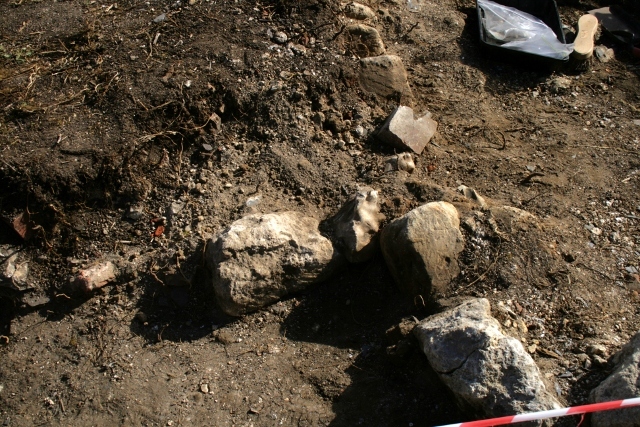 One of the edging stones was almost half a metre out of place, the gap being infilled by demolition rubble – possibly moved by the impact of WW2 ordnance. Mortice lock in base of demolition fill over path to front door. 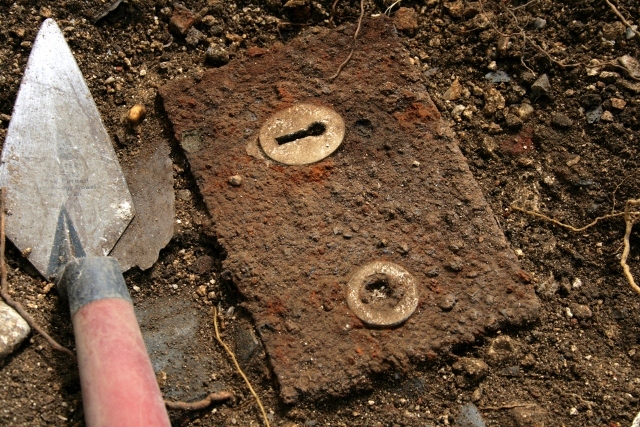 The best find was a relatively modern looking mortice lock – almost certainly for the front door. Another very nice but tiny find was a fragment of triple layered pink/white/clear glass, such as has previously been found, except that this particular shard was decorated with a delicate gold coloured pattern. 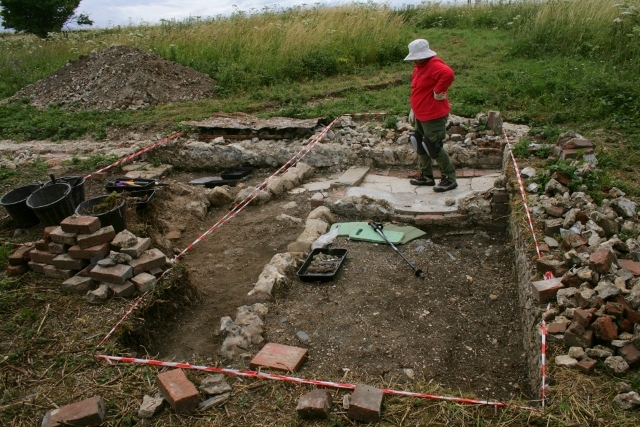 Finds, in general, were fewer than those areas nearer to the walls, for example, only three .303 cartridges rather than the dozen or more from the previous Friday. 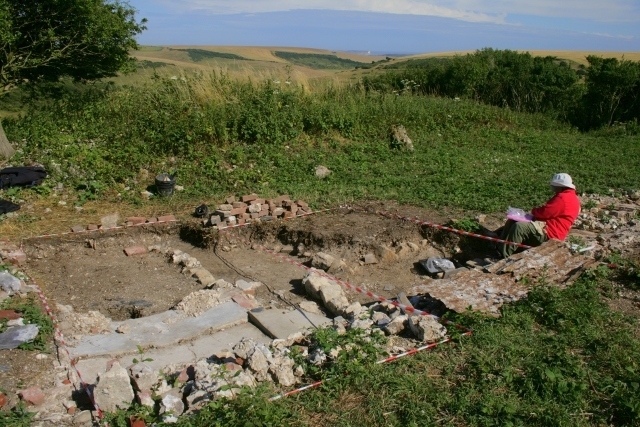 We are hoping for a good turn out this coming Friday – great progress has recently been made uncovering some important features at the front of the house – and extra volunteers should make a big difference uncovering this part of the site. Dig days are Fridays & Sundays, 10-4pm, and new volunteers are always welcome – no experience necessary. 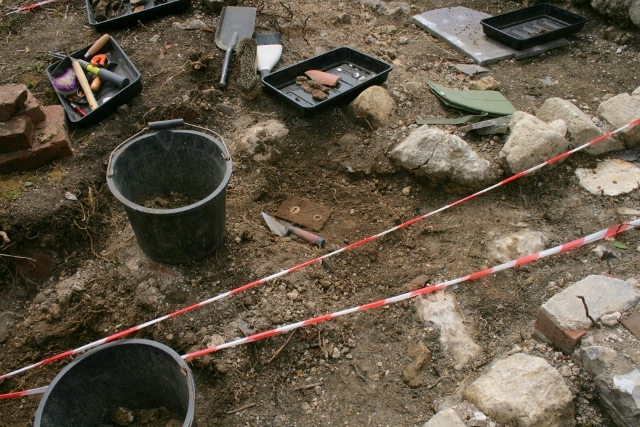 Partially excavated path (yard?) towards front door.